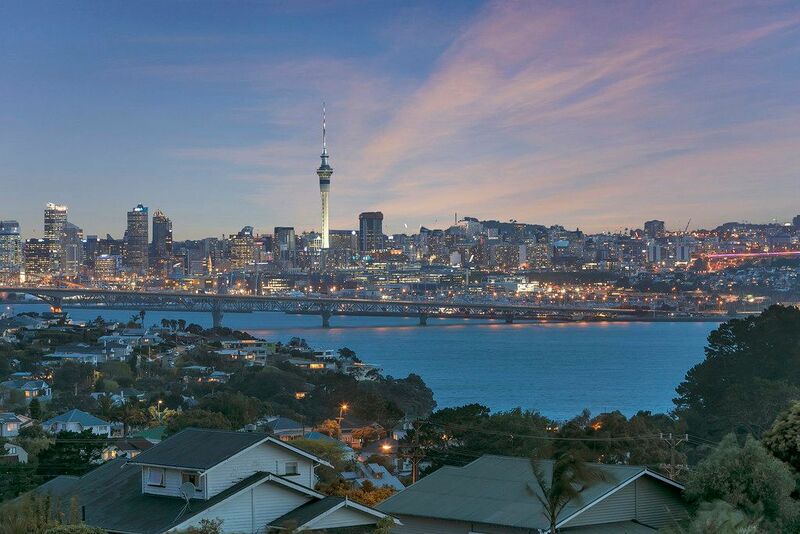 YOU WON’T NEED A CAR – BUSES, SCHOOLS & SHOPS ON YOUR DOORSTEP. 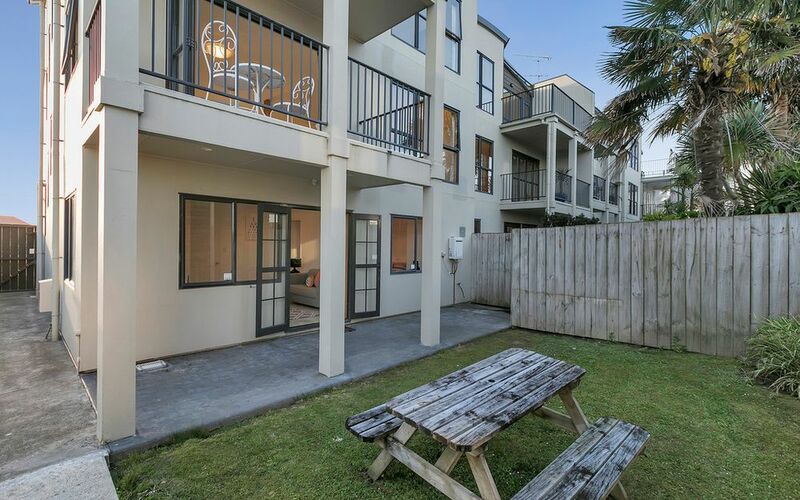 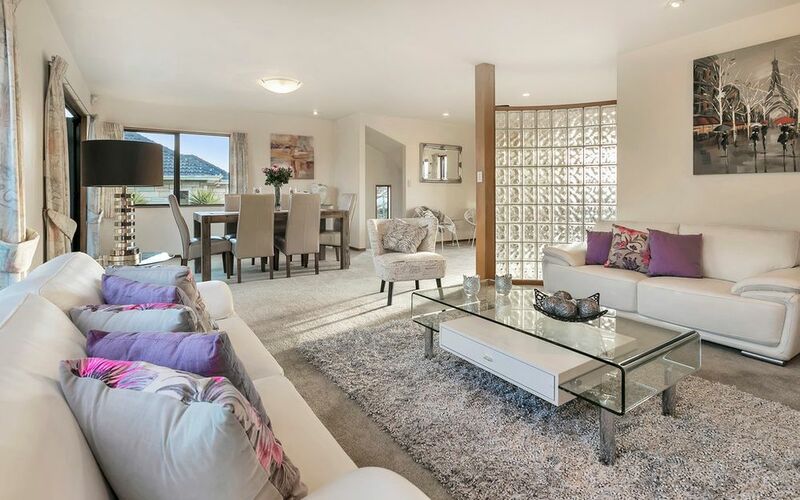 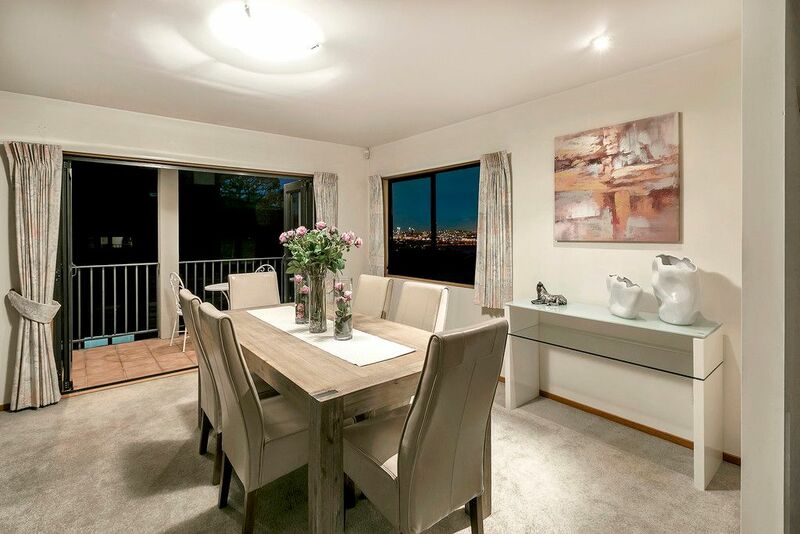 Elevated on ‘Birkenheads Ridge’ in a sought after street you will be more than impressed from the moment you step inside this spacious 210m2 modern townhouse. 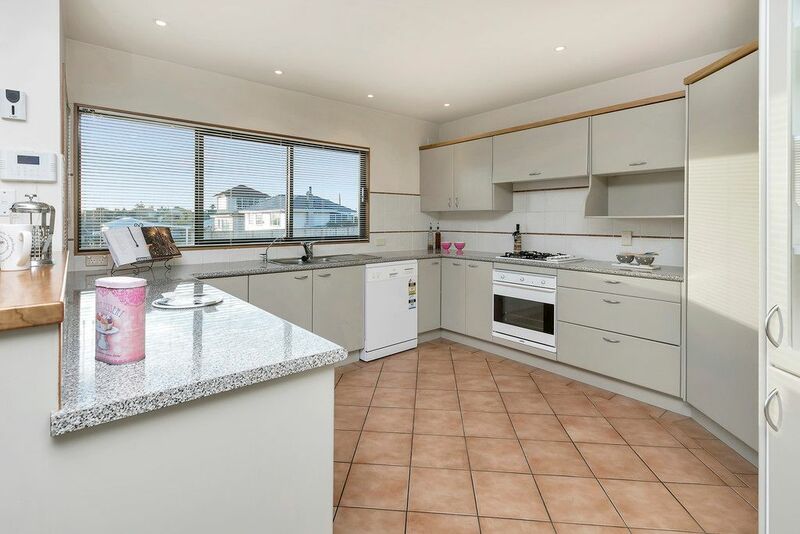 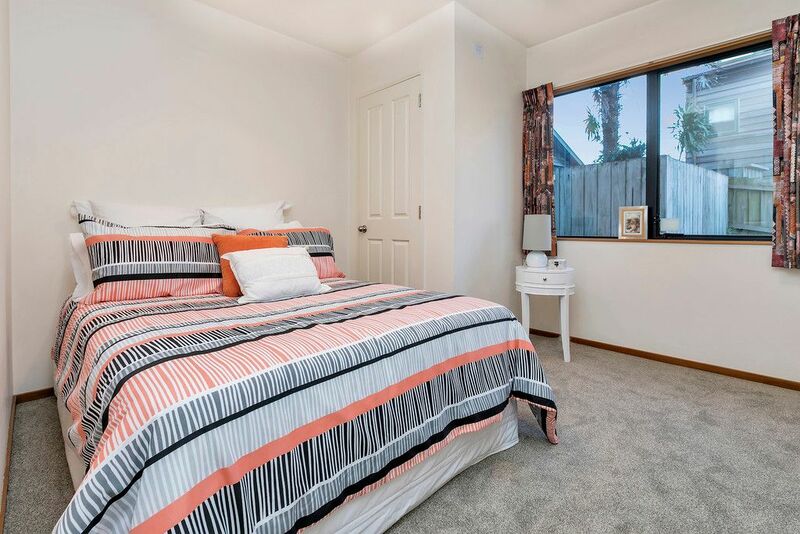 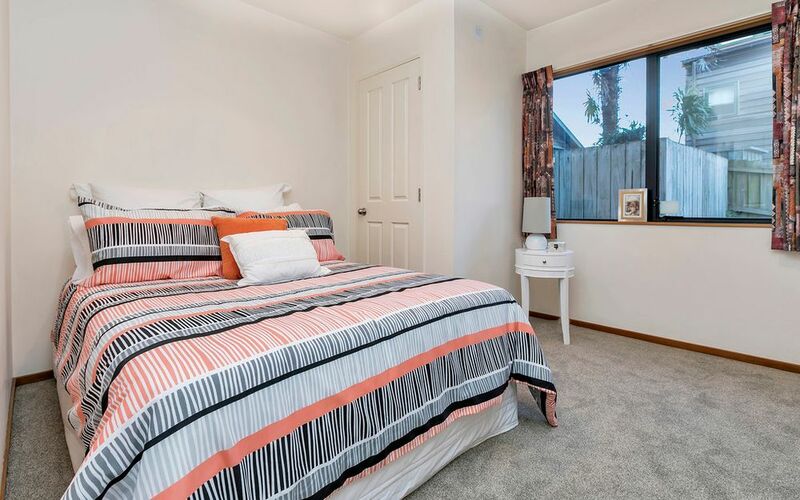 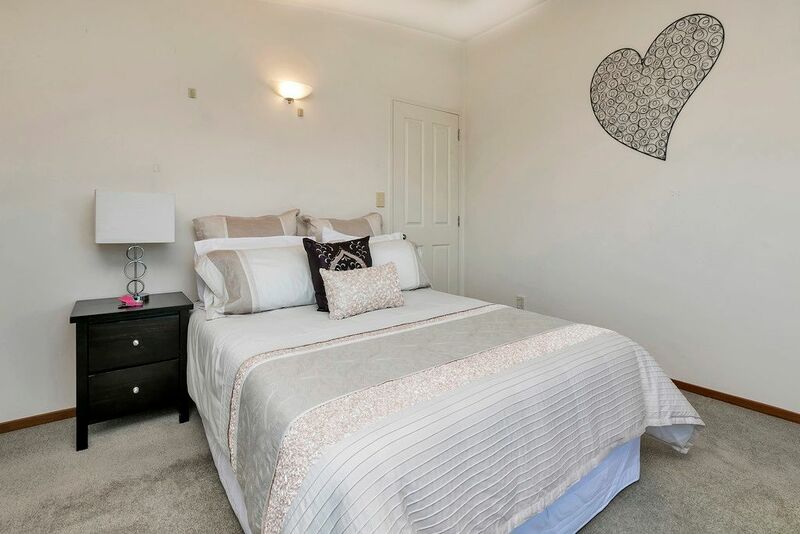 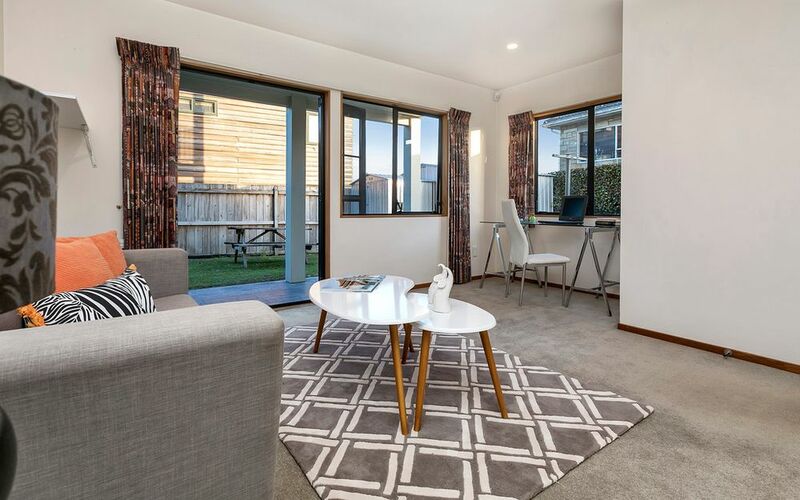 Many benefits & features with rumpus room, adjoining bedroom, & external access to the private level back yard – perfect for extended families, a small home business or student. 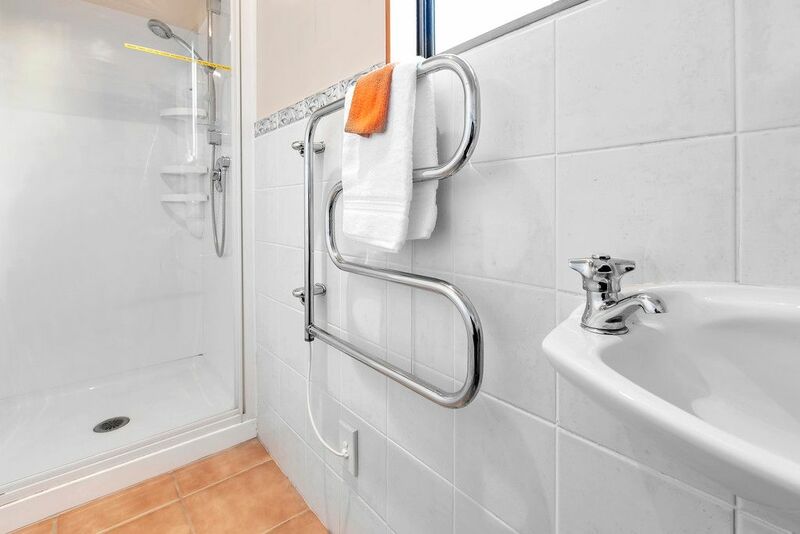 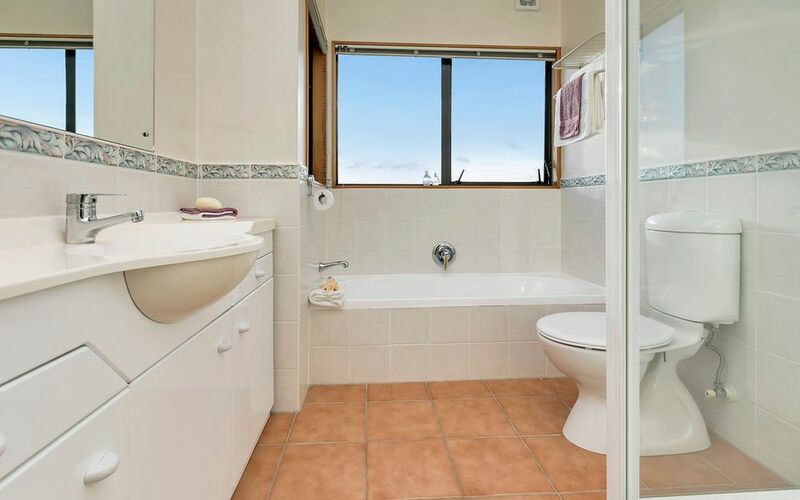 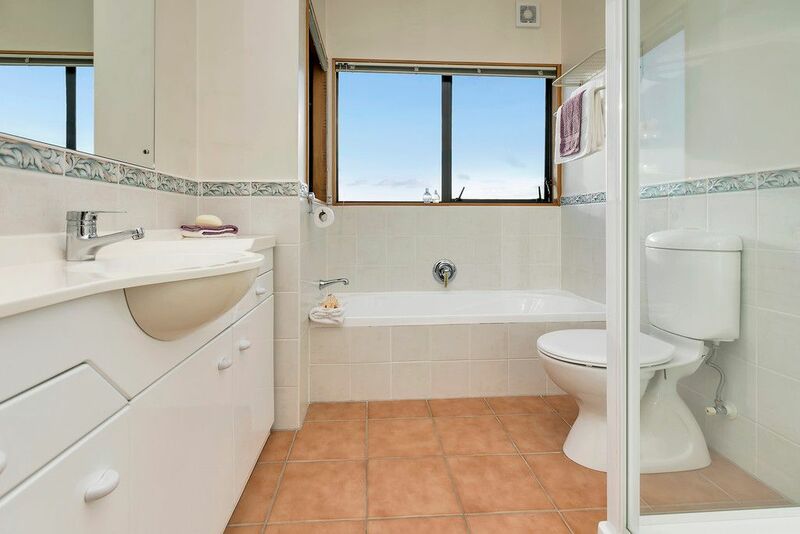 Bathroom with shower & WC, large carpeted double garage with laundry & central vacuum system an added bonus. 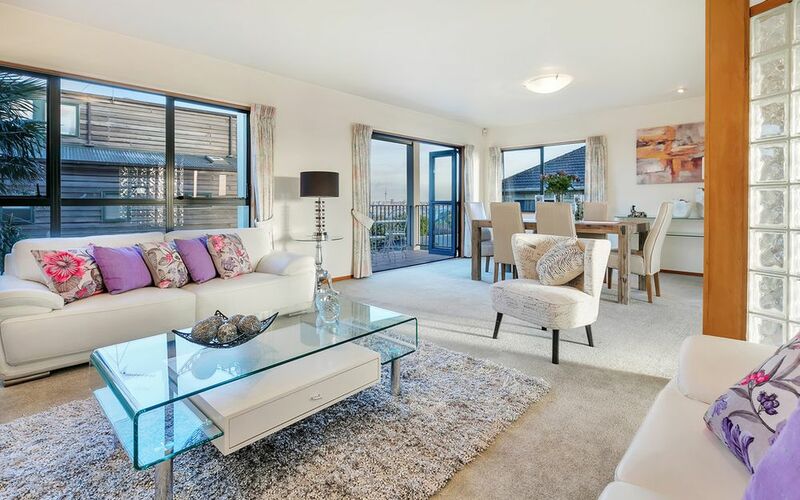 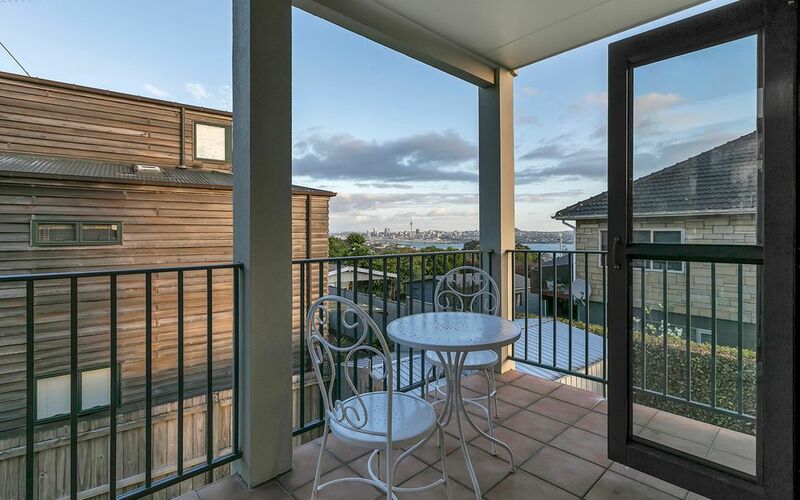 The spacious warm, light & airy open plan living area on the mid-level has outdoor flow onto sunny balconies with superb city, bridge & harbour views, incorporating a separate guest WC. Enjoy cooking in the extra large well cared for kitchen with dishwasher & loads of storage. 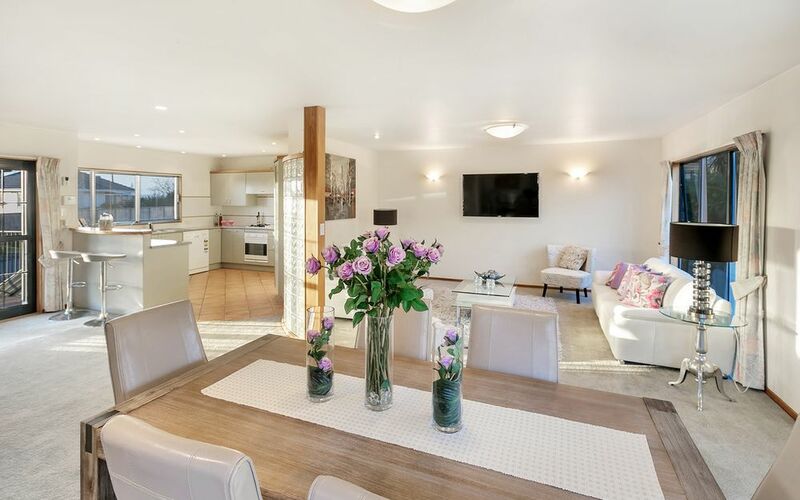 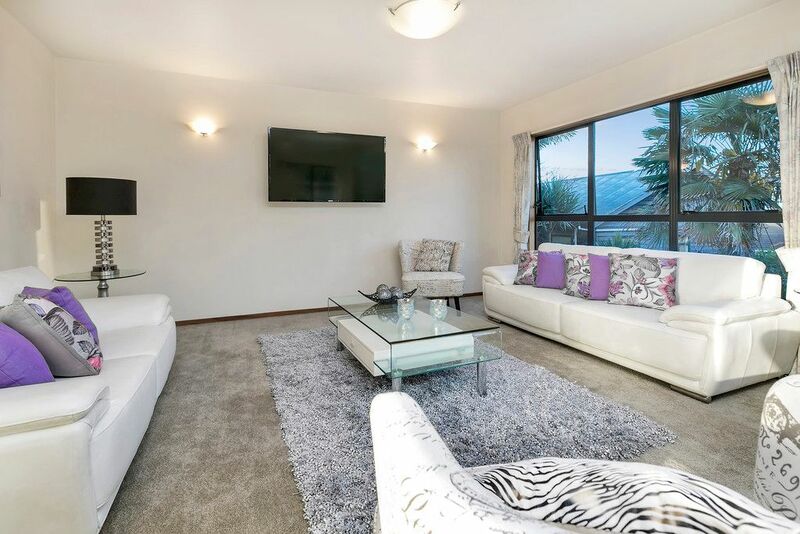 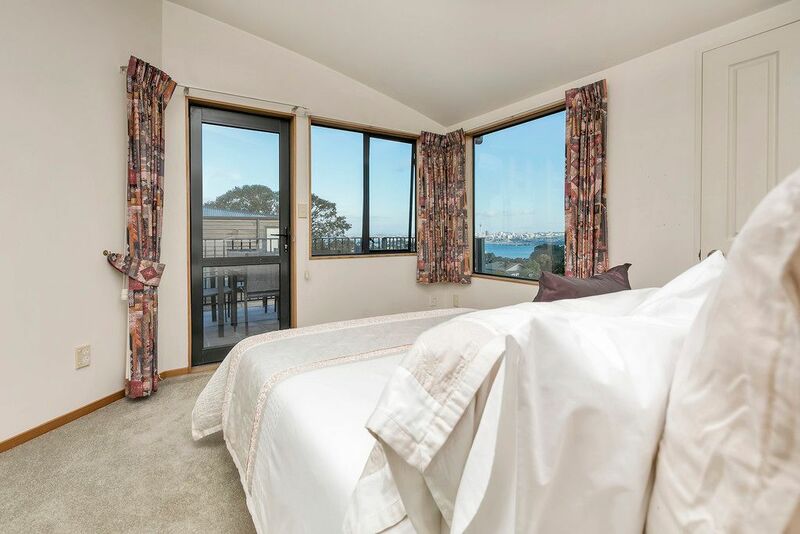 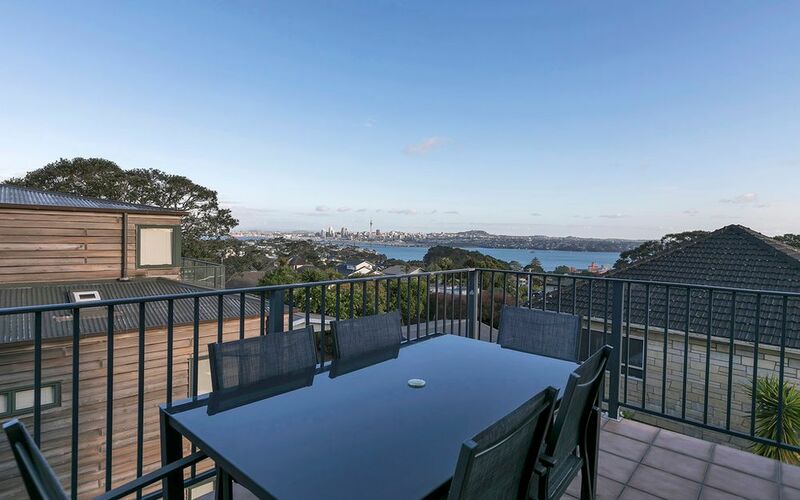 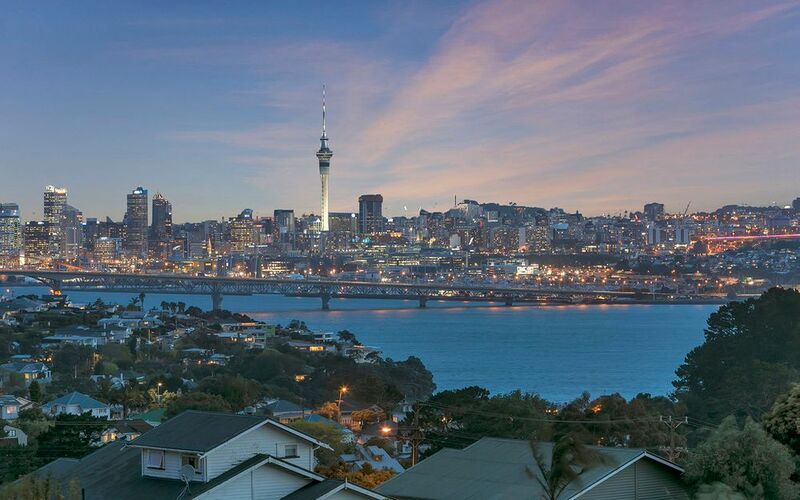 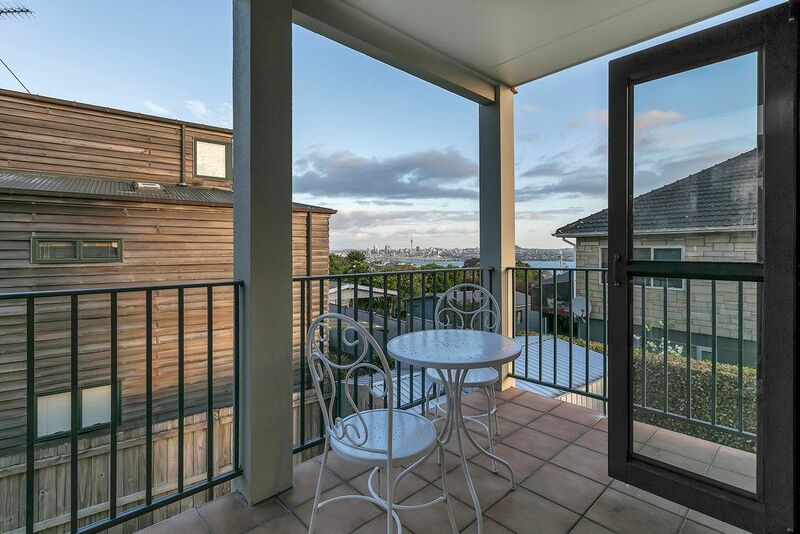 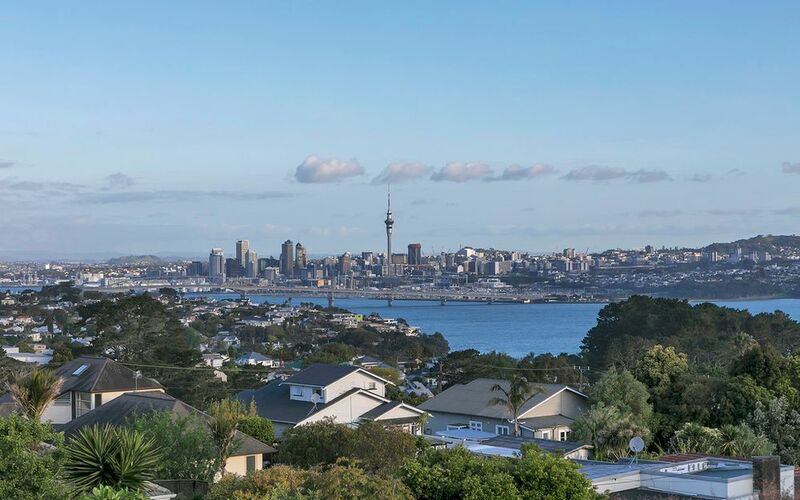 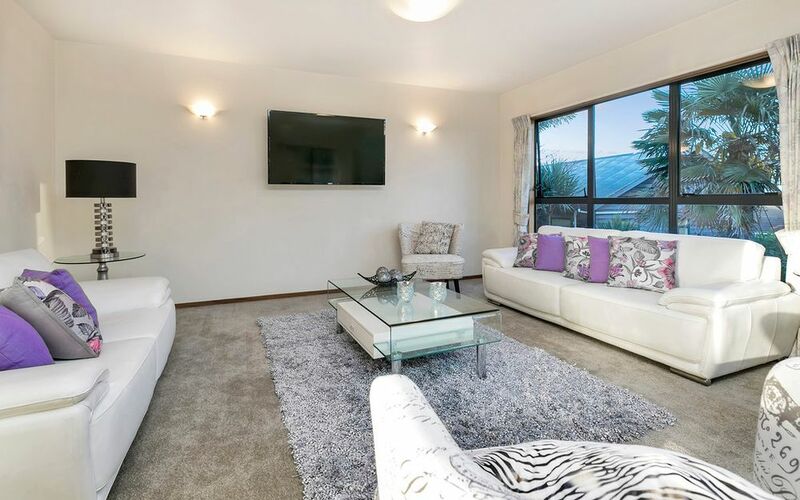 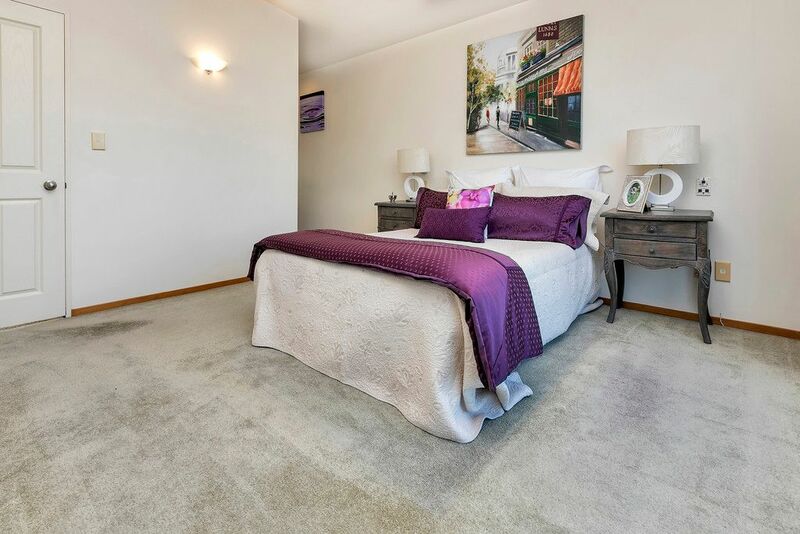 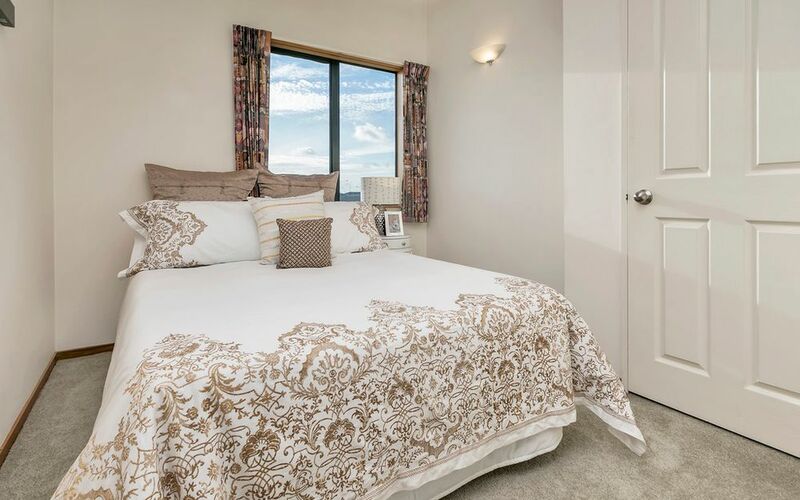 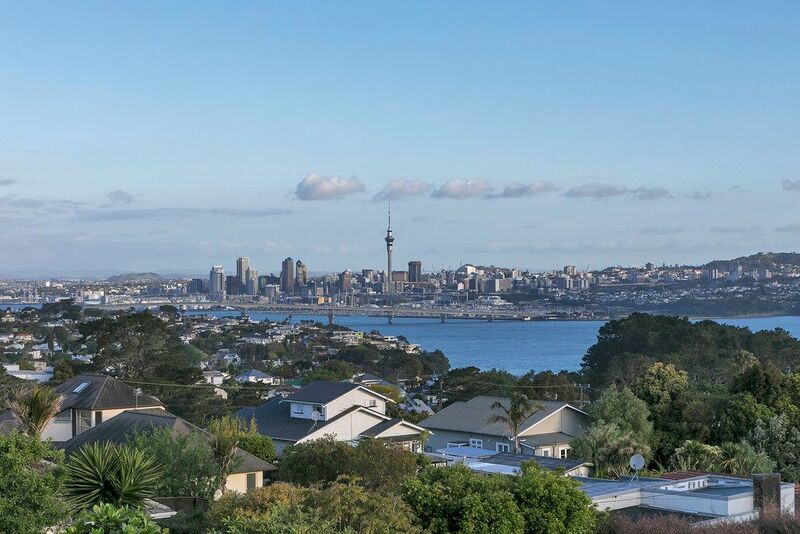 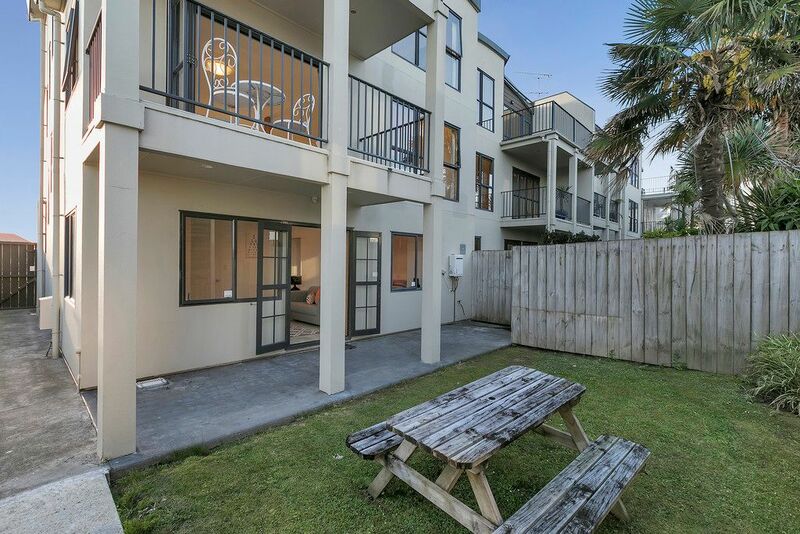 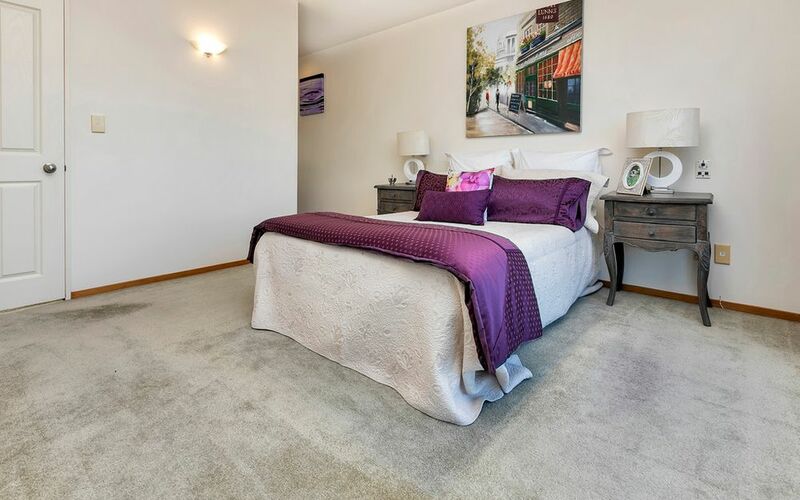 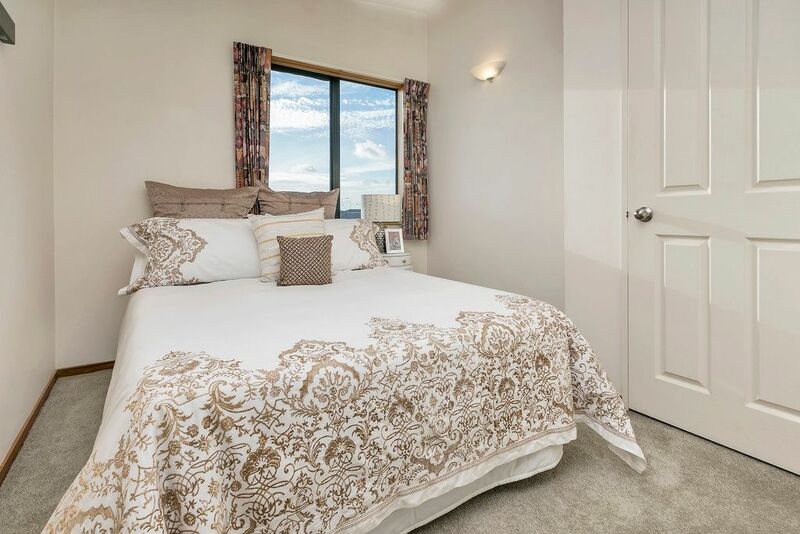 The upper level comprises the master bedroom with ensuite, walk in robe, exceptional city & Rangitoto views & shares a balcony with the double guest bedroom. 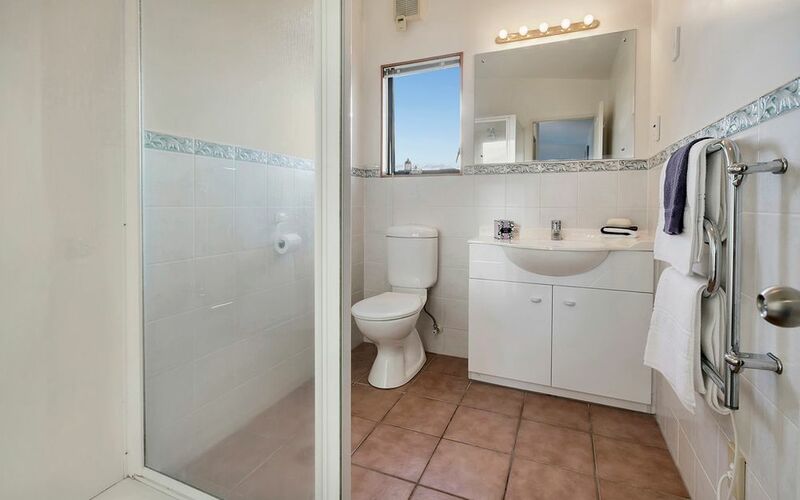 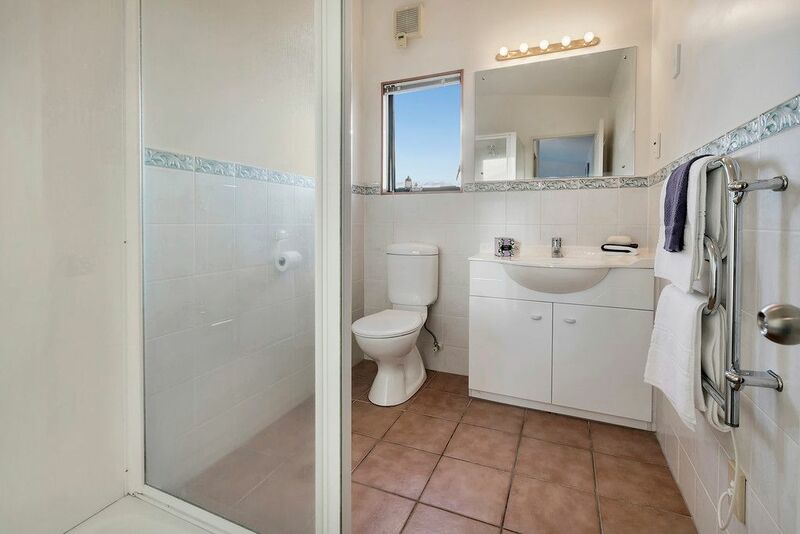 A third bedroom & large tiled bathroom with bath, shower & WC complete the floor plan of this very clean & tidy dwelling – has only had one owner. 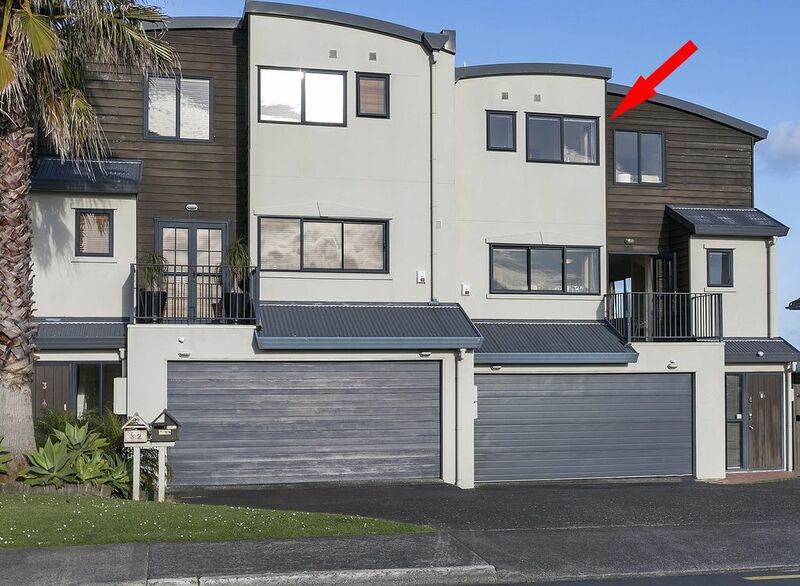 Constructed in a mix of cedar & monolithic cladding in 1996. 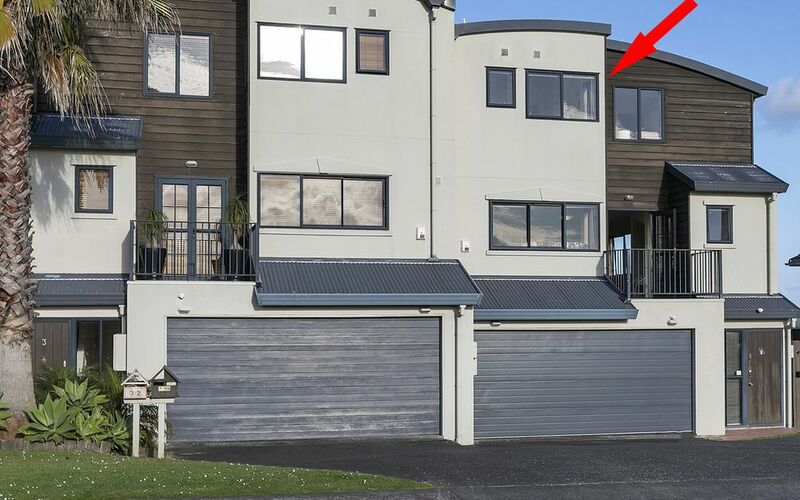 Could be a future project in this prime location for a savvy investor.